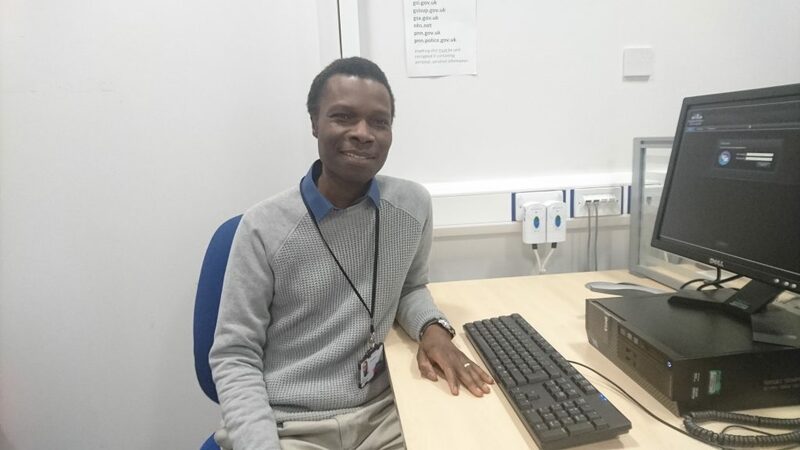 Having graduated from University of Brighton with a BSc in Social Work, Social Worker Barney Saoke talks to us about ‘life after graduation’ and his role at Brighton & Hove City Council. I understand that you recently returned to the University to talk to us about your experiences? What did that include? I spoke with final year students about the Assessed and Supported Year in Employment (ASYE) Programme for Newly Qualified Social Workers at Brighton & Hove City Council. In their first year of this programme they normally have a reduced workload of 80%, with the remainder of time doing additional training for Continuing Professional Development (CPD). At the end of the first year they submit a portfolio. How did you hear about the role at Brighton & Hove City Council? The Brighton & Hove City Council was one of employers who came to the University in April to recruit final year social work students. They thereafter advertised the Assessed and Supported Year in Employment (ASYE) programme. What was the application process? How long did it take before you started in the role? In April the local authority advertised for those social work students looking to go into Children Services. I applied for this and had a 2 stage interview in early May. One was by a panel of care leavers who were formerly accommodated in foster care by the Local Authority, and there was a main formal interview. The care leavers were involved in a group interview, where each candidate picks a question at random and talk about a topic and address it in front of fellow candidates and interviewers. The formal interview was a couple of days later before a panel of three interviewers, and it included a small written piece of work. I was successful at the interview and was offered a job within a few days. The job offer was subject to successful completion of my course and registration with the Health and Care Professions Council (HCPC). As you have to register with the HCPC before you can practice as a social worker, I had to wait until the University notified them that I had passed the course then I submitted my application for registration. There was a 2 week turnaround with the HCPC, and 6 weeks for the Disclosure and Barring Service (DBS) check. I got my DBS certificate within 4 weeks and thereafter I was ready to start work. I would have started at the beginning of August but had a holiday already booked, so I started in the middle of August. There were 21 newly qualified social workers who were accepted by Brighton & Hove and the programme formally started in early September. The ASYE programme is conducted by social work employers all over England and I have found it really helpful. It is now March and I am still working in Children’s Services, and it is going really well. How did you become interested in Social Work? Originally I am from Kenya and my background is hospitality. While still in Kenya, my wife and I were informal foster carers. When I came to the UK, my interest in working with children and families developed. I wanted to do something to make life better for families with children. I must admit that the negative stories in the media about social work made me think that I should join the profession in order to help make things better. I would later realise that what appears in the media is really not representative of social work. How has studying at University of Brighton prepared you for this work? I love Brighton especially the teaching staff, the 1:1’s and the group tutorials. These were really helpful as this gave you the opportunity to discuss, talk and relate things in your professional and personal life. It was a way of getting support and the lecturers were always happy and ready to help. Apart from that, I liked the resources such as student central and in particular the library (where I ended up working part-time during my time as a student). They provided advice and direction on where to get the materials that I needed. When I was writing my dissertation, my supervisor was very helpful with the support and direction that I received. I couldn’t have asked for more, and indeed I performed quite well as a result. The knowledge that I got at university definitely prepared me for the job. I came sufficiently equipped with the knowledge to do my job and wasn’t out of my depth. What placements were you involved in? I had two placements. In the second year, it was with an independent fostering agency and the final year placement was with a forensic mental health hospital. Service users at the hospital were people with mental health issues who have come through the justice system. That placement prepared me for working with families where there are parents with mental health problems and sometimes that may affect how they interact with their children. It gave me a good understanding of the complexities of mental health. Admittedly I was not keen on the placement at the beginning as I had expressed a desire to work with children, so I did not immediately understand the link. It was explained to me that the placement would be good and that knowledge and experience gained would help me with working with children’s services – and they were right! I really didn’t see it at the beginning, but they were definitely right! I would say to not be scared because something is hard. Just go for it and with dedication! Some people have negative views about Social Work from the media and all the scare stories. However, the wonderful work that they do is not mentioned. I honestly believe that there is a lack of knowledge about social work, apart from the negative things people read in the media. The media shouldn’t discourage them as this is a really wonderful career. A lot of good work goes unreported. What other advice would you give to students looking to study a career in Social Work? It is a challenging but rewarding career in that you work with a family and help them bring about positive change – that is really rewarding. There are many families who are not aware that there is help available for them. But when you can help them look after their children in a better way, it’s really rewarding. Did you feel that you were able to put into practice some of the things that you have learnt on your course so far? Yes, very much so. You always learn something new especially with social work at Brighton & Hove City Council organised in different ways to most local authorities, where you get to do a bit of everything. In other local authorities different teams look after assessment, children in need, child protection, looked after children, and court work. However at Brighton & Hove City Council , once you pick up a case from assessment you stay working with the family until the case is closed. You get the opportunity to get to know the children and the family. You personally know them and I really like that. It is relationship based practice at its best. Would you recommend University of Brighton as a place to study Social Work? If so, why – what are the strengths of the course and of the teaching staff? Absolutely. I work with other people from other universities and I am proud to have come from University of Brighton. I feel like it equipped me well in my social work career. I would definitely recommend University of Brighton as a place to study, it’s really friendly, welcoming and the atmosphere is one where everyone is very polite and helpful. If you are interested in a career in social work or simply want to find out more about our social work courses click here. Tagged Brighton & Hove City Council, Children's Services, graduate, Life after graduation, Social Work, Social Worker. Bookmark the permalink.